For my recent performance at Sydney's City Recital Hall I devised a new live setup which is something I've had in mind for a long time. With a Keith McMillen SoftStep (gen 1) as a quite powerful, customisable USB MIDI controller, and a simple Roland EV-5 expression pedal plugged into it, I'm controlling a range of effects and processing in Ableton. I can broadly mimic the typical free-looping in my Line 6 DL-4 pedal, but I can also loop in time with the Ableton session (and in Tangents I'm looping in time with the rest of the band). In this track, I'm more interested in a freer, looser improvisation. I've got a beautifully organic tape delay using Live 10's new Echo device, and I have two copies of the classic Granulator II plugin from Robert Henke, among other effects, and a looper that's set to reduce the previous layers by a percentage each time a new overdub is added, so they slowly fade out. New raven release – split cassette on Tandem Tapes! Proud to have a new release available. It's released on the excellent Tandem Tapes label, run by Aussie musician Morgan McKellar, currently based in Jakarta. Morgan has been releasing amazing split cassettes from noise and experimental artists for the last year or more, and it's cool to be part of the family! On the other side is a lovely piece of classicist drone from my friend Talbert Anthony. Both tracks are dark and slow-moving: one tracked in Ableton based around a loping beat and meandering piano, the other freer, with processed buzzing amp noise slowly giving way to acoustic piano and cello. 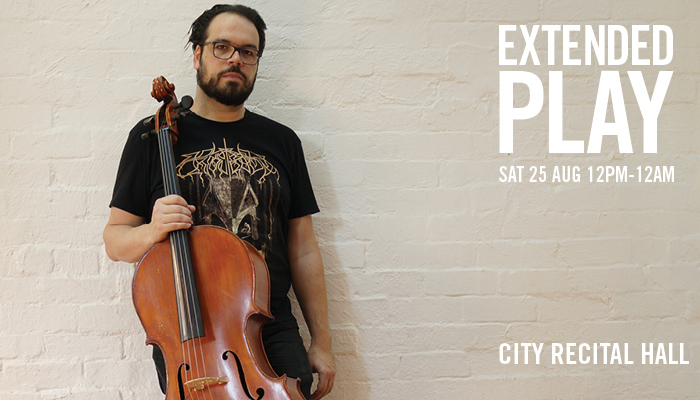 On Saturday the 25th of August, I'm excited to be bringing a new raven set to Sydney's City Recital Hall for a 12-hour new music event called Extended Play. There are a host of great artists from the contemporary classical world, along with jazz, world and electronic artists. I'll be playing some tried and true cello looping works along with some new material using laptop and foot controllers which are giving me a lot of freedom around layering and live processing of sounds. It'll be interesting and fun and most of all, New! My 2017 album the night is dark, the night is silent, the night is bright, the night is loud received a number of reviews in some unexpected places. Solo, he adds piano, laptop and a loop pedal to the perambulations of his trusty cello, and the variety of these compositions is pretty incredible, as though a whole cast were involved. It’s seamless, too, best evidenced when fluttering breaks only briefly rupture the tranquil surface of Begin. I was very pleased to appear in the Monthly Music Wrap for October 2017, by another of our best music writers, Anwen Crawford: "Hollo’s primary instrument is cello, which he plays expansively, sometimes as a string instrument and at other times like percussion, looping the various sounds so that the album is full of darkly melancholic string melodies and assertive rhythms." A very interesting review at Sputnik Music talks about the the album's effect on the listener's perception of time, and in summing up says: "I could reinstate that there are moments of menace lodged inside moments of earnestness, or that certain images seem to burn themselves into my retinae as I listen, but the truth is that The Night Is Dark, The Night Is Silent, The Night Is Bright, The Night Is Loud is as disorienting as it is stunning." Sydney Scoop said "This collection of ominous and restless pieces is like bottled darkness", and helpfully described it thus: "Ostensibly a neo-classical release, but heavily influenced by ambient and industrial music, folk, and even breakbeat electronica". Prog site It Djents singles out a few tracks: "The pacing is again marvellous, giving even the most jarring parts of 'descent' enough room to make the listener thoroughly acquainted with them; even the ending, in which the track collapses in on itself again, is tastefully and deliberately orchestrated". The lovely folks at Norman Records have given it a write-up too: "Cello unravels as electronics hover, then flutter just when you want them to, but not necessarily as expected". And over at a closer listen, we're told that "The album is a primer on what a cello might do when no one is looking, and how raw its notes can become". Really glad to be playing a show in Canberra to launch my new album. I'll be joined by my Tangents cohorts Shoeb & Evan doing a Spartak set, which is incredibly exciting for me as they don't play in that format that often anymore, and I've been a fan forever. And there'll be an amazing set from Alphamale aka Hannah de Feyer, who plays viola in Shoeb's solo band! 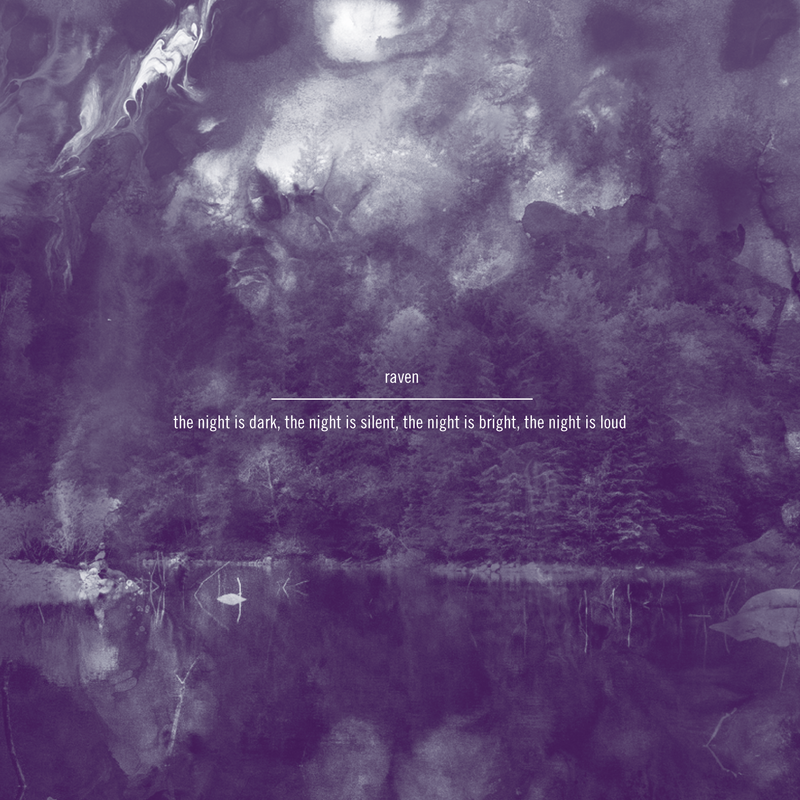 My new album the night is dark, the night is silent, the night is bright, the night is loud is out on the 12th of October via Art As Catharsis, and I'm going to be launching it at Venue 505 on Cleveland St in Sydney. Get your tickets here! Support will come from my wonderful & talented friends / cohorts Sophie Hutchings playing a solo piano set, and Alon Ilsar playing a solo set with his mind-boggling Air Sticks. My new album is coming out on the 12th of October! There's a lovely CD edition and digital. Thanks to the wonderful Art As Catharsis for helping me put it out. When I collaborated with pleq (see here) on his remix of Ben Lukas Boysen, there was also some beautiful additional piano contributed by French pianist Julien Marchal. We vowed to work together more in the future, and Julien kindly invited me to remix one of his pieces from his album INSIGHT II (and prodded me when I dragged my feet). So here it finally is! There is also a Q&A available at Julien's site with some, er, "insight" into the creative process behind this remix, and my work more broadly.